James Jones does not have any MLB stats for the season. Draft: 2009, Seattle Mariners, 4th rd. March 27, 2019 LHP James Jones assigned to Frisco RoughRiders. 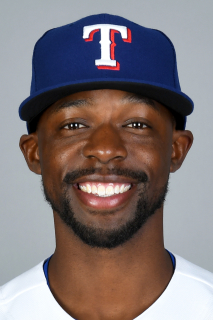 February 26, 2019 LHP James Jones assigned to Texas Rangers. November 2, 2018 LHP James Jones elected free agency. August 31, 2018 James Jones roster status changed by Round Rock Express. August 10, 2018 Round Rock Express placed LHP James Jones on the 7-day disabled list. July 21, 2018 LHP James Jones assigned to Round Rock Express from Frisco RoughRiders. July 14, 2018 Frisco RoughRiders sent LHP James Jones on a rehab assignment to AZL Rangers. June 17, 2018 Frisco RoughRiders placed LHP James Jones on the 7-day disabled list retroactive to June 11, 2018. May 15, 2018 LHP James Jones assigned to Frisco RoughRiders from Down East Wood Ducks. March 27, 2018 LHP James Jones assigned to Down East Wood Ducks from Round Rock Express. March 1, 2018 LHP James Jones assigned to Texas Rangers. September 30, 2017 Round Rock Express activated LHP James Jones from the 60-day disabled list. August 15, 2017 Round Rock Express sent LHP James Jones on a rehab assignment to AZL Rangers. April 6, 2017 LHP James Jones assigned to Round Rock Express from Hickory Crawdads. October 3, 2016 Hickory Crawdads activated LHP James Jones from the 7-day disabled list. August 12, 2016 Hickory Crawdads placed LHP James Jones on the 7-day disabled list. August 9, 2016 OF James Jones assigned to Hickory Crawdads from AZL Rangers. August 4, 2016 OF James Jones assigned to AZL Rangers from Round Rock Express. July 13, 2016 Round Rock Express placed OF James Jones on the temporarily inactive list. March 29, 2016 OF James Jones assigned to Round Rock Express. December 10, 2015 Texas Rangers signed free agent CF James Jones to a minor league contract and invited him to spring training. December 2, 2015 CF James Jones elected free agency. November 16, 2015 Texas Rangers traded CF Leonys Martin and RHP Anthony Bass to Seattle Mariners for RHP Tom Wilhelmsen, CF James Jones and Player To Be Named Later. October 11, 2015 OF James Jones assigned to Tigres de Aragua. September 8, 2015 Seattle Mariners recalled CF James Jones from Tacoma Rainiers. August 28, 2015 Tacoma Rainiers activated CF James Jones from the 7-day disabled list. August 24, 2015 Tacoma Rainiers sent CF James Jones on a rehab assignment to AZL Mariners. July 11, 2015 Tacoma Rainiers placed CF James Jones on the 7-day disabled list. July 6, 2015 Seattle Mariners optioned CF James Jones to Tacoma Rainiers. July 4, 2015 Seattle Mariners recalled James Jones from Tacoma Rainiers. June 24, 2015 Seattle Mariners optioned CF James Jones to Tacoma Rainiers. June 15, 2015 Seattle Mariners recalled James Jones from Tacoma Rainiers. May 1, 2015 Tacoma Rainiers activated CF James Jones from the 7-day disabled list. April 18, 2015 Tacoma Rainiers placed CF James Jones on the 7-day disabled list. March 20, 2015 Seattle Mariners optioned CF James Jones to Tacoma Rainiers. August 29, 2014 Seattle Mariners recalled James Jones from Tacoma Rainiers. August 18, 2014 Seattle Mariners optioned CF James Jones to Tacoma Rainiers. August 11, 2014 Seattle Mariners recalled James Jones from Tacoma Rainiers. August 1, 2014 Seattle Mariners optioned CF James Jones to Tacoma Rainiers. May 5, 2014 Seattle Mariners recalled James Jones from Tacoma Rainiers. April 20, 2014 Seattle Mariners optioned RF James Jones to Tacoma Rainiers. April 16, 2014 Seattle Mariners recalled James Jones from Tacoma Rainiers. March 14, 2014 Seattle Mariners optioned RF James Jones to Tacoma Rainiers. November 20, 2013 Seattle Mariners selected the contract of James Jones from Tacoma Rainiers. August 30, 2013 James Jones assigned to Tacoma Rainiers from Jackson Generals. August 26, 2013 James Jones roster status changed by Jackson Generals. April 3, 2013 RF James Jones assigned to Jackson Generals from High Desert Mavericks. March 7, 2013 OF James Jones assigned to Seattle Mariners. April 5, 2012 James Jones roster status changed by High Desert Mavericks. April 4, 2012 High Desert Mavericks placed RF James Jones on the reserve list. March 17, 2012 RF James Jones assigned to Seattle Mariners. September 9, 2011 High Desert Mavericks activated RF James Jones from the 7-day disabled list. July 24, 2011 High Desert Mavericks placed RF James Jones on the 7-day disabled list. April 7, 2011 RF James Jones assigned to High Desert Mavericks from Clinton LumberKings. March 20, 2011 RF James Jones assigned to Seattle Mariners. April 5, 2010 James Jones assigned to Clinton LumberKings from Everett AquaSox. March 8, 2010 RF James Jones assigned to Seattle Mariners. July 18, 2009 James Jones assigned to Everett AquaSox from Seattle Mariners. July 17, 2009 Seattle Mariners signed RF James Jones.